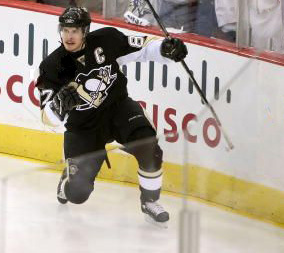 Pens pursuit of adding another forward a sign that Crosby’s season is in doubt? Some have viewed the acquistion of James Neal and Alexei Kovalev as a sign that the team fully expects Crosby to return this season. I’m hearing the complete opposite. I was on the radio early this week in Calgary and indicated that based on what’s being relayed to me, Crosby is highly unlikely to return this season. Crosby continues to have on-going headaches and those close to Crosby have their doubts that the games best player will return at all this season. A return by mid-April is considered the earliest scenario anyone envisions him back and that’s an optimistic view at this point. The Neal acquisition was fully dictated as a long-term move. Meanwhile, the Kovalev acquistion that was orchestrated by some higher ups in the organization, including owner Mario Lemieux, was a move by GM Ray Shero to bolster his offense in the short-term. The Penguins though are likely not done. The team remains active in talks in trying to land another forward, which according to some league executives is a clear sign that the team has doubts about Crosby returning. The Penguins brass believes with their ability to defend and Marc Andre Fleury in net, they match up well with much of the Eastern Conference, especially in a seven game series. Obviously, the focus over the past couple days has been to add some scoring punch, and that still remains the focus if the right deal and player are out there. The trade deadline is Monday at 3:00 p.m. The Penguins focus is on mostly rental players with Chris Higgins and Minnesota’s Chuck Kobasew getting some looks. As for a player whose not a rental player, that hasn’t been ruled out but more likely to happen at the draft. The Penguins will not move their 1st round pick and as mentioned a few weeks ago, the only prospects off limits are Simon Despres and Beau Bennett.